Coming April 14, 2019. 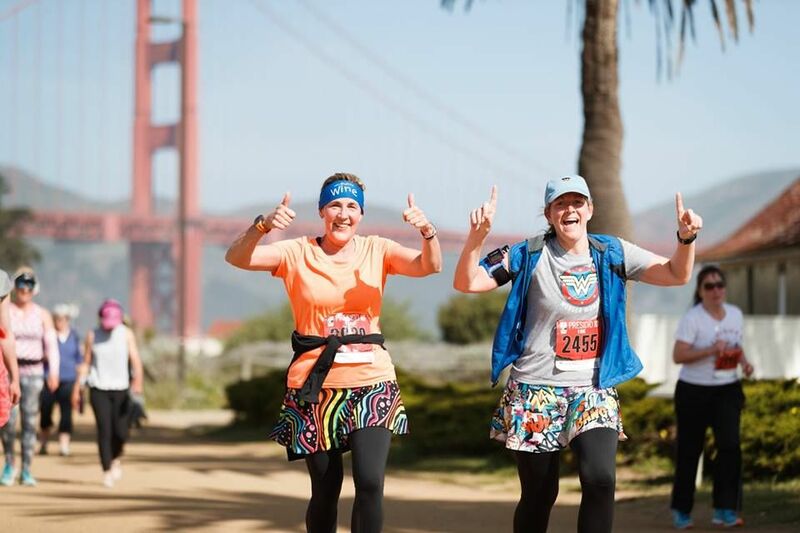 A race that crosses the Golden Gate Bridge? Yes, please! The Levi’s Presidio 10 offers 3 distances: 10 mile, 10K, or 5K, with the promise of an over and back on the Golden Gate Bridge for the first 2 lengths. Choose the latter if you want to run with your stroller. The race starts and ends at the Presidio, former U.S. Army military fort on the northern tip of San Francisco, California that is now part of the Golden Gate National Recreation Area. Post race enjoy the expo, live music, hot breakfast, and a big party with views across the bay to Sausalito and Alcatraz Island. Proceeds are donated back to the local community to send disadvantage youths to outdoor education programs and provides scholarship support. A great cause and a great race; it’s the Levi’s Presidio 10!